There’s nothing as irresistible as a plateful of piping-hot biryani. 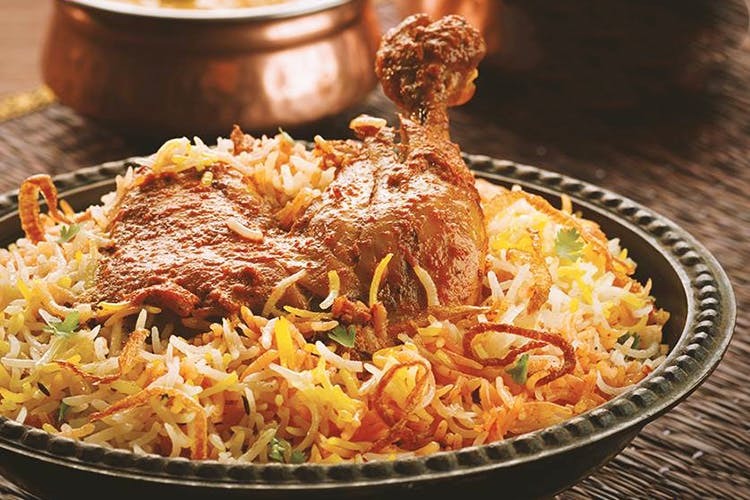 While the best of the best can only be found in Old Dilli, Hyderabad and Lucknow, we’ve compiled a list of joints in Noida which do a pretty good job of satiating all those biryani cravings. If you’re looking for an option that is a stone throw’s away and packs in as much flavour, this is pretty great. Order Murgh Biryani Achari and Biryani Achari Ghost, and you won’t be disappointed. Like yourself some awesome keema biryani and prawn biryani? We can’t wait for you to try Biryani Paradise. Their vegetarian snacks like Kaju Pakoda and Babycorn Manchurian also sound pretty exciting. If you’re in the mood to have biryani at home, Go! Biryani is the place to order from. They do free home delivery and have a dry-fruit pulao that we’re dying to try. They also have sides of shammi kebabs if you’re willing to go the extra mile and gorge. Order here. From Pakistani to Lucknowi to Hyderabadi, Deez Biryani and Kebabs serves ’em all. There are six different portion sizes, from Small to Golden Jubilee to choose from. A big thumbs up to Heart Healthy Biryani, which is low-calorie, made of brown rice and cooked in olive oil. Check out their website here and their Facebook page here. Perfect for dine-ins, Smoked Biryani House is a favourite! Enjoy the Hyderabadi Biryani served fresh from the handi here. For vegetarians, there’s Soya Chaap Biryani as well.